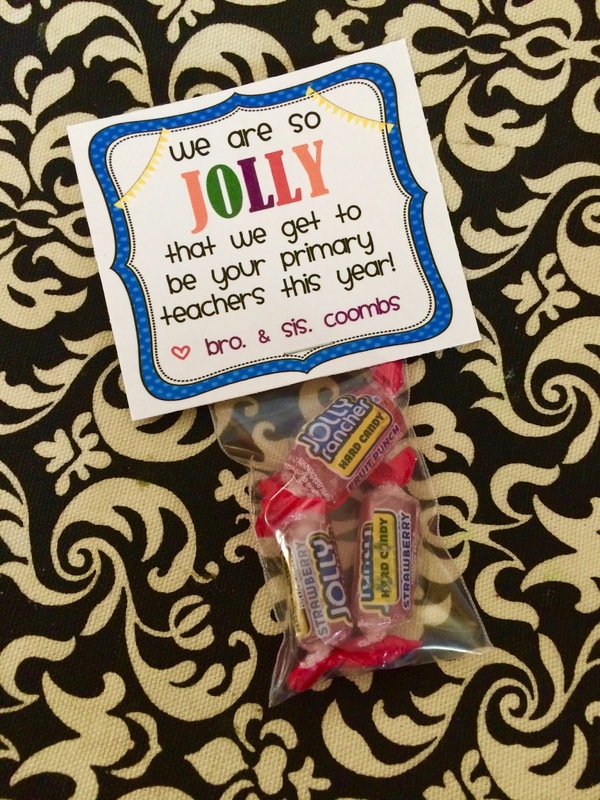 Marci Coombs: Primary Teacher Printable. As promised - - I'm sharing my FREE Primary Teacher tags today!!! 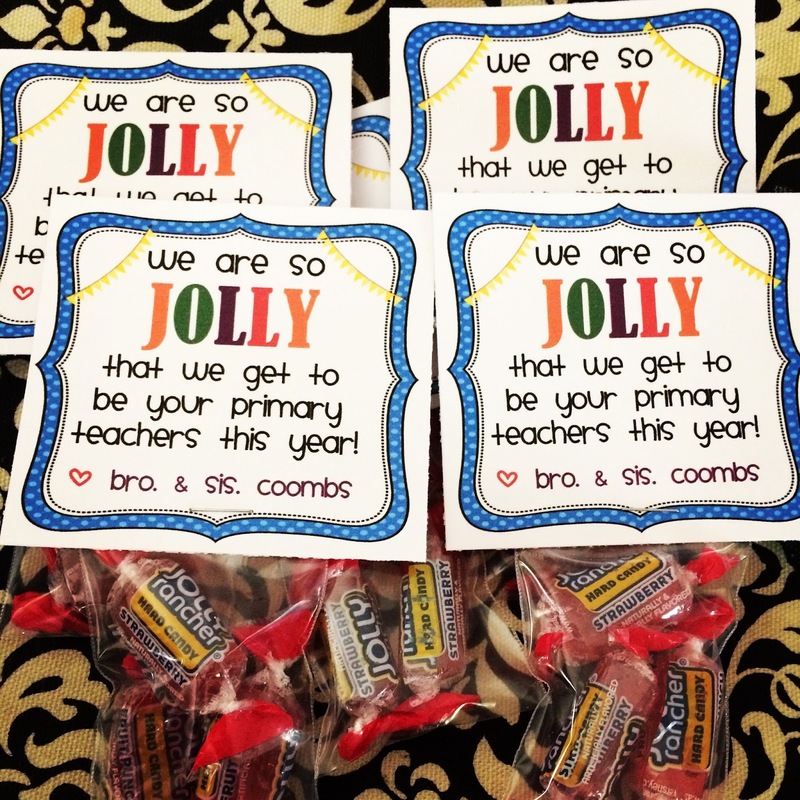 I have made up tags that read both 'WE ARE' and 'I AM' - - in case you don't team teach. I used some small plastic jewlery bags for mine and about 3-4 jolly ranchers fit into each one. It was the perfect amount for my 6 year olds. To download my tags click HERE. Elegant Chicken Recipe + Glazed Carrots and Peas. Classroom Valentines with FREE Printables. Fun Finds Friday + more RANDOM-ness. New Year's Resolutions Mutual Activity.